WE TAKE PRIDE IN BEING COUNTY LICENSED, RECOMMENDED, AND APPROVED INSTRUCTORS FOR ONEIDA COUNTY, HERKIMER COUNTY, MADISON COUNTY, LEWIS COUNTY, CHENANGO COUNTY & MORE. "to help teach you and your loved ones to be safe for life!" HELPING YOU ACHIEVE A LIFETIME OF FIREARMS SAFETY. THIS IS YOUR COUNTY REQUIRED AND APPROVED PRE LICENSING PISTOL PERMIT SAFETY CLASS. ​THIS IS THE CLASS YOU NEED TO GET YOUR COUNTY PISTOL PERMIT/LICENSE. WE HAVE PLENTY OF SEATS STILL OPEN FOR ALL CLASSES. PLEASE CLICK ON A BUTTON BELOW AND SIGN UP TODAY! ​We Have Your County Required Pistol Classes And Utah/Florida Pistol Courses Scheduled In Our Classroom ​Every Month. These Courses Can Also Be Scheduled Private And Semi-Private 7 Days A Week, On Any day, Anytime & Anywhere! Minimum 2 Students For Semi Private/Group. Can't Make It To A Class Above or Do You Have ​Special Wants or Needs? We Hold The Class At Your Convenience, NOT OURS! We can start any time between the hours of 9:00 am and 5:30 pm, 7 days a week. Click Here And Let Us Hold A Class For You! Please feel free to bring your own snacks/lunch and beverage to any class. ​*Classroom doors open at 8:15 am. Please be in the classroom by 8:29. Don't forget we are also always available for private classes most any day/time/place that you need us. ​YOUR COUNTY REQUIRED CLASS - ANY DAY, ANYTIME, ANYWHERE, AT YOUR CONVENIENCE. NOW THAT'S ON DEMAND! Utah/Florida Classes Are Always Available! LISTED ABOVE ARE THE REQUIRED SAFETY CLASSES THAT YOU NEED TO TAKE TO APPLY IN YOUR COUNTY OF RESIDENCE FOR A NEW YORK STATE PISTOL PERMIT / LICENSE. BEING APPROVED INSTRUCTORS, WE HAVE CLASSES THAT WILL ALSO SATISFY AND AID IN REMOVING PISTOL RESTRICTIONS IN MANY NEW YORK STATE COUNTIES INCLUDING DUTCHESS & LEWIS. PLEASE NOTE: IF YOUR COUNTY IS NOT LISTED ABOVE, CONSULT YOUR COUNTY OF RESIDENCE WEBSITE OR CALL THEM TO SEE WHAT THEY REQUIRE. THEY SHOULD BE HAPPY TO ASSIST YOU! ​WE ALSO COME TO YOU! LET US ACCOMMODATE YOUR CLUB OR ORGANIZATION WITH A CLASS TODAY! We Are Happy To Accommodate you. Anyday, Anytime, Anywhere! Utah / Florida Pistol Class: When You Want It! ​Do You Want To Pay For A Class With PayPal? You Can Pay Here Securely! Just Click The 'Buy Now' Button Below And This Will Take You To The Paypal Login Screen. Put The Course Day And Date In The Enter Description Field (or you can easily copy and paste it in) And Put In The Cost, Item Price. 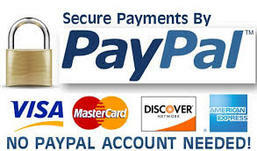 Then Continue On To Your Password Protected Paypal Account To Complete The Purchase Of Your Class. ﻿Please Don't Hesitate, Sign Up TODAY! Classes can fill up quickly, and no seat is guaranteed to be reserved for any student until they have registered and paid the tuition here online, for the class they wish to attend. Please Note: Credit / Debit Cards, PayPal & Cash Are The Only Form Of Payment That We Accept. All Students must preregister and prepay. FOR YOUR CONVENIENCE, ALL BASIC PISTOL SAFETY COURSES ARE ONE DAY CLASSES AND GENERALLY TAKE 4 TO 5 HOURS TO COMPLETE. With minimal breaks and a "working lunch," we can shave off nearly 2 hrs. from the class. Therefore, our class is the equivalent to a full 6 hour course. or Just Send Us A Text Message. ​You Deserve And Should Demand Nothing Less Than The Best Training Available. ​Nationally Recognized NRA Certified Courses And Instructors. ​﻿Lead Instructors - Joe & Cam Alati﻿​. Learning the proper handling and use of a firearm is an important responsibility. That said, if you take a course anywhere regardless if it cost $10, $20, $50, $100 or more or whether it is 2 hours long, 4 hours long, 8 hours long or more, please make sure that you are knowledgeable and comfortable in handling a pistol by the time the class has ended. Please call us to continue your education by learning how to shoot when you receive your license/permit and your new pistol/handgun. We are NRA Certified Phase 2 Instructors and we look forward to training you on the range with NRA Live Fire Qualifications. Any and all of your shooting requirements will be addressed and tailored to your specific individual needs or wants. And remember, even if you know someone or some people who might be able to start you in guns, consider this: the National Rifle Association has been teaching people how to shoot since 1871. There are many ways of instructing that don’t work too well and you might run into some of these. Many people who have a background in guns mean well, but they don’t have the training to teach you in ways that will best serve your development. We work hard to maximize your benefit by conducting many tried and true courses to the actual NRA standards and with the highest level of respect conveyed to the student. Get Your Utah Non Resident Pistol Permit In 60 Days or Less! THIS IS NOT A TYPO! Get Your Florida Non Resident Pistol Permit In 60 Days or Less! ​​No New York State, NY County or NYC Permit Is Required! I thought I was just taking another boring class, WRONG! There is so much to learn, and I can now look forward to a lifetime of firearms safety. The NRA Phase 2 Shooting Course is now required in Lewis County within 6 months of getting your Pistol Permit. I came back and took this range qualification class with Joe and I thoroughly enjoyed it. Truthfully, I think most everyone should come back for this affordable and beneficial second class. Being an avid lifelong hunter, I thought I knew it all. I learned a few more things than I thought I would. This is a real world course. I know now, that there are no such things as accidents. If your gun goes off and it is not suppose to, somebody is negligent...YOU! A Great Class! As a newbie I learned a lot and will continue to hone my skills once I get approved. As promised nearly half of the class was female. This certainly helped make me feel more comfortable. This class breezed by because it did not bore us to death! The last class that I was forced to take was for boating safety, and for a lack of better words, it was simply dull and redundant. Joe's class is upbeat and interesting. RIGHT AROUND 1,778 STUDENTS OVER 13 YEARS HAVE ENTRUSTED US WITH KEEPING THEIR FAMILIES SAFE! ​​WE WANT YOU TO BE SAFE AND CONFIDENT! AT THE END OF OUR CLASS YOU WILL FEEL COMFORTABLE AND *'LIFETIME SAFE' HANDLING ANY HANDGUN /PISTOL. FURTHERMORE, IF YOU DON'T DISPLAY A SOLID FOUNDATION FOR A LIFETIME OF FIREARMS SAFETY, WE DON'T LEAVE CLASS AND NEITHER DO YOU, PERIOD! WE WILL DO WHATEVER IT TAKES AND AS LONG AS NEEDED TO HELP YOU. (which by the way, many, many people may not possess or use when needed). You Have To Learn The Proper Procedures, And Practice And Apply These Firearms Safety​ Procedures That We Teach You. That Means Each And Every Day And Each And Every Time That You Handle A Pistol/Handgun. 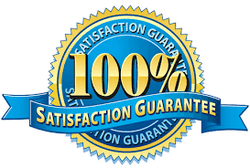 IF YOU ARE NOT 100% SATISFIED WITH ANY CLASS THAT YOU TAKE FROM US, WE WILL MAKE IT RIGHT! THAT IS OUR BULLET PROOF GUARANTEE! ​Please Fill Out The Inquiry Form Below If You Would Like To Communicate With Us Via Email. Call or Text Us Anytime 9:00 am to 7:00 pm. Click Logo For More Info And To Join. Greenfield Is A Member Only Range (No Guests Are Allowed). Therefore, You Must Already Be or Become A New Member Before We Can Shoot With You On The Range. No Exceptions. ​A GREAT RANGE TO JOIN! WE PLEDGE ALLEGIANCE BECAUSE THIS IS THE UNITED STATES OF AMERICA! YOU WERE EITHER BORN HERE OR CAME HERE. SO LOVE HER OR LEAVE HERE! We Place Our Hand Over Our Heart At The Beginning Of Every Class And We Say The Word GOD. If You Won't, Don't, or Can't Do It For Any Reason Except Missing Your Right Arm, Please See Your Lead Instructors, Joe & Cam For Further (albeit brief) Instructions. Community Learning Center (our classroom) is located @ 2007 Genesee Street, Utica, NY 13501, 1st floor. We are just up the Street from Price Chopper (same side of the street) on the corner of Genesee St. and Emerson Ave. in The Uptown Plaza next to Slice Pizza In South Utica. We are handicap accessible. Look for our Pistol Permit Class signs and our flashing open sign. Our classroom is located on the 1st. Floor next to Purple Cow Cheesecake. We Have Been Proud Tenants Here For Over 25 Years! ​Click on photo to enlarge.